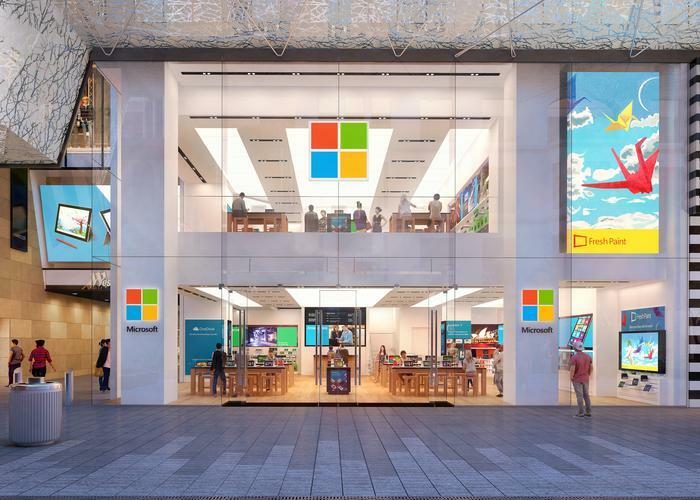 Grand opening celebrations for Microsoft’s Pitt Street store in Sydney will take place at mid-day on 12 November. The 500 square metre store will be located on levels two and three of Westfield Sydney, placing it on the same block as the Samsung Experience store and in close proximity to the Apple Store on George Street. The majority of the floorspace is dedicated to selling products that belonging to Microsoft’s ecosystem, including the exclusive sale of Signature Edition PCs. However, an on-site answer desk will provide existing customers with product support, such as virus removal from Windows computers and help with software installation. Approximately 50 to 75 people will staff the store, including a small business specialist and an on-site trainer. The diverse staff are from 11 different countries and are versed in more than 21 languages. The launch of the Pitt Street, Sydney store, which is the first to be opened outside of North America, follows the opening of a store in New York. Microsoft is celebrating the launch by donating more than $5 million in software and technology grants to local organisations in Sydney and New York.